Insight-driven decision making has always been a stern necessity for organizations to gain the competitive edge and stay relevant in the market. Even though the concept of Business Intelligence is not a new one, the constant evolution of these solutions resulted in a continuous need for organizations to replace or update the existing organizational BI systems. What sounds perfect today might need an upgradation tomorrow. As an business intelligence solutions provider focusing on traditional and advanced analytics, machine learning and AI for several Fortune 500 companies, SMBs and start-ups, we predict the following 6 trends to have the maximum impact in 2018 and beyond. By 2017 most organizations realized the importance of data democratization and usage of self-service analytics tools for better decision making at all managerial levels. This trend will continue in 2018 and beyond as employees at any level can no longer afford to waste their time waiting for the IT department to pull a report. Due to the expansion and innovations of self-service analytics tools, data-governance process will undergo significant modifications as well. Administrators need to ensure the right data authentication levels to the right individual and at the right time. Crowdsourcing data governance will be one option. By 2020, organizations that offer users access to a curated catalog of internal and external data will realize twice the business value from analytics investments than those that do not – Gartner. 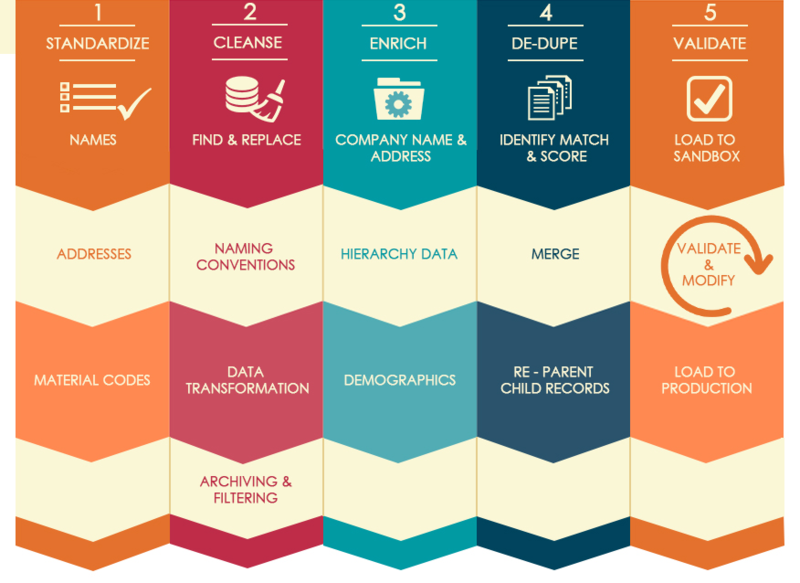 Cleansing and enriching data through deduplication and standardization. However as the number of data sources increase, processing them becomes a challenge. And there are chances that a considerable amount of this data is unstructured. This is where Big Data and AI technologies like machine learning algorithms will be used to harness raw data into real-time insights. This is one of the most important trend that is transforming the future of BI. 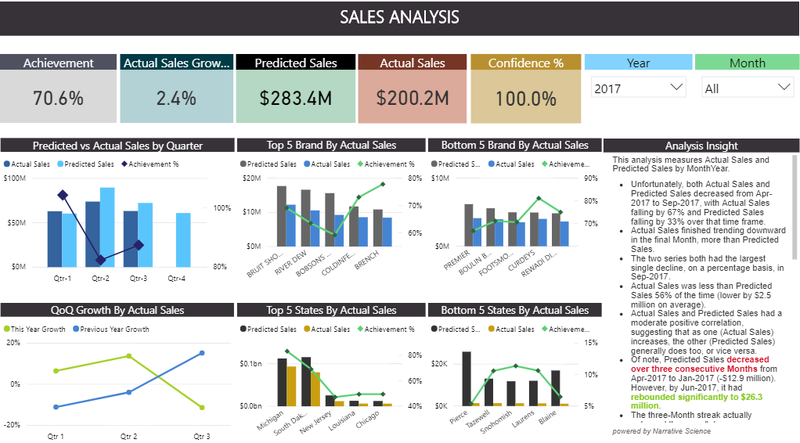 In a traditional BI decision-makers switch multiple windows and dashboards before arriving at a conclusion. This is a time-consuming process and difficult to perform on a day-to-day basis. In 2018 we can see more organizations leveraging AI backed technologies like Natural Language Processing (NLP) to overcome this challenge. One option is integrating an NLP-Powered search feature. Users can type the related natural language query or keywords and swiftly obtain the required information.within the BI system – Just like how a Google search works. At Acuvate, we have taken this a step further and are using AI-Powered chatbots (bots) in addition to search for our clients. Once deployed in any of the actively used organizational messaging platform like Skype For Business, Skype, Slack, Telegram etc., these bots can extract the needed data from the BI system and deliver it to users via chat. In simpler words, you won’t be searching the BI system but chatting with it. Users can ask question at a time to the bot and obtain relevant insights in multimedia formats. Here’s an example of how our AI-powered sales chatbot delivers key business analytics to sales teams. Since chatbots bring data to the already actively used messaging application, users don’t even have to login to the BI system everytime. Bots will also provide links to the relevant dashboards in case users need a detailed analysis. Bots fit conveniently into everyday workflows and thereby motivate employees to use data more often while decision-making. Business Intelligence and analytics generally will be the forte of the Chief Information Officer in any organization. However the rapid influx of innovations in the analytics field and the the race to obtain the competitive edge will motivate organizations to have a C-Suite officer i.e the CDO who will be fully and solely accountable for driving a culture of analytics at all business levels. This will take some burden off of CIOs who can focus more on IT architecture and data security. The need to democratize BI, make analytics available everywhere and reduce costs of infrastructure and ownerships will pave way for the mainstream adoption of cloud BI. Most organizations have already shifted a part of their databases to the cloud and are currently sailing on a hybrid environment. In 2018 and beyond, this shift will accelerate. Gartner predicts that by 2021, more than half of global enterprises already using cloud today will adopt an all-in cloud strategy. Organizations will implement a multi-cloud strategy to evaluate and analyze different vendors. This evaluation will be primarily to figure out the best-suited solution for the organizational needs and not get locked down with a single provider. 70% of enterprises will be implementing a multi-cloud strategy by 2019 – Gartner. One important element of a competent modern BI will be advanced analytics. Powered with AI and Machine Learning, advanced analytics like predictive and prescriptive analytics provide rich and meaningful recommendations and insights. Using these analytics decision makers will spend less time analyzing data and more time collecting actionable insights from it. Unlike traditional descriptive analytics which just provide generic analysis on what happened in the past, advanced analytics detect patterns in the provided dataset and deliver highly accurate recommendations for planning the future business strategies. 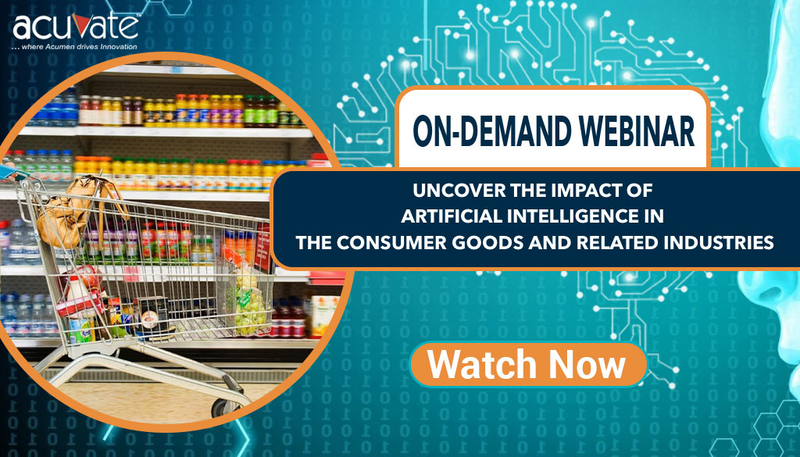 This forward thinking methodology is especially valuable for fast-moving industries like the CPG business in which accuracy of decision-making will have a huge impact in the overall revenue. Here are a couple of examples of how we are helping Fortune CPG companies’ revenue management teams with predictive analytics and prescriptive analytics. These advanced analytics help companies reduce marketing and trade spend costs by accurately forecasting sales based on data from key influencing factors like Point of Sales, weather, social media, search analytics, syndicated data etc. These technologies also recommend promotions and campaigns to be run for the right brands at the right place at the right time. With the constant influx of new BI technologies and trends in 2018 and beyond, organizations will recognize the need to Modernize their BI and add capabilities around AI and Machine Learning in order to remain relevant. However the journey towards modernizing will differ from one organization to another. While some are already deploying multi-cloud strategies, some have still stuck to an on-premise environment. Based on their industry and internal requirements, organizations need to tactically develop a BI strategy and embrace only what is required. The need to create a culture of analytics also increases and this reflects on the hiring process as well. PwC claims that by 2021, 69% of employers will prefer job candidates with data science and analytics skills over ones without. 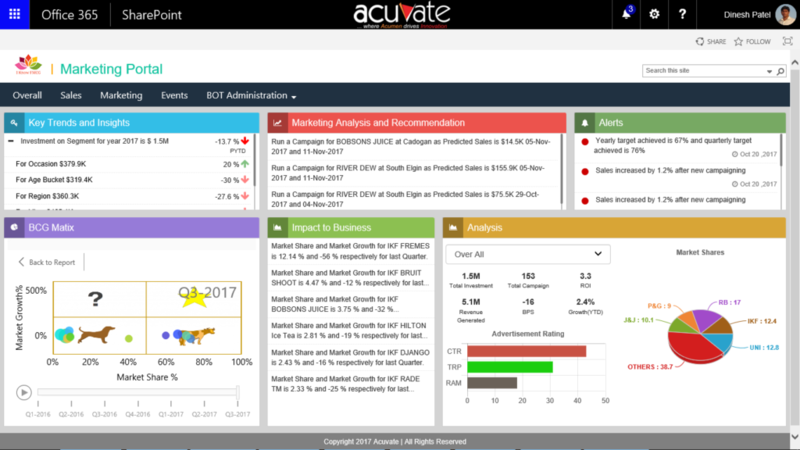 Acuvate helps enterprises across various industries in developing customized BI strategies for Traditional Analytics and Advanced Analytics using Big Data, Data Science,Machine Learning and AI. Whether you’re implementing BI for the first time or extending your current system or migrating to new one, we provide consulting and strategy creation services all stages of your journey. It’s up to you to decide where to start. Learn more about Acuvate’s BI strategy services.